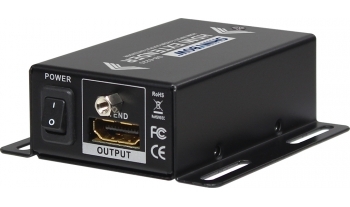 The SB-6225 is a HDMI™ extender and will extend the HDMI™ signals up to100 feet. In its basic configuration, the SB-6225 links two HDMI™ cables to create a longer extension up to 100 feet. 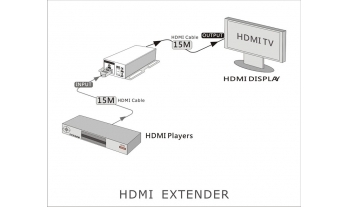 SB-6225 repeaters can be daisy chained, to create much longer HDMI™ extensions up to 360 feet. 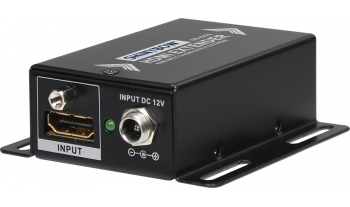 The SB- 6225 supports the HDMI™ 1.3, 1.4a 3D version ,1080p HD resolution and multi-channels digital audio for the best signal quality. 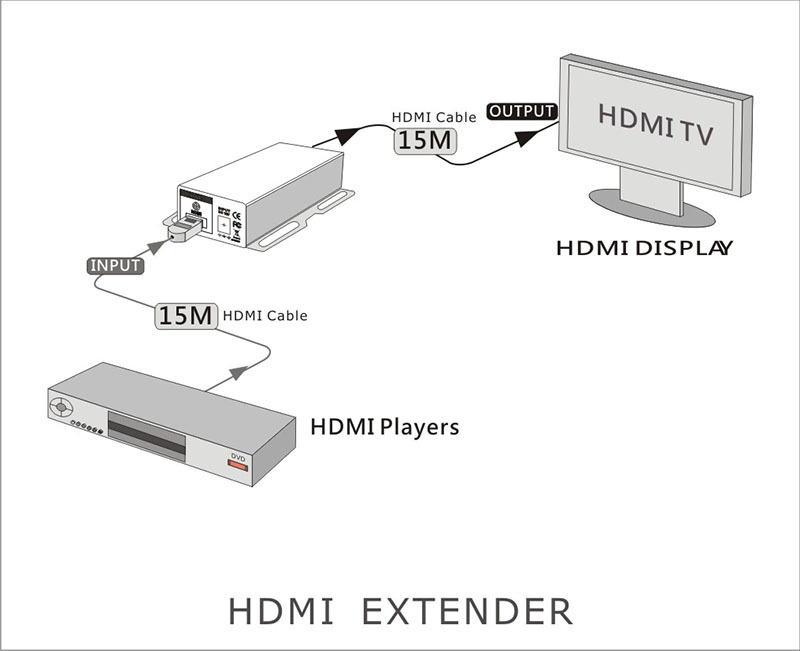 Standard installation involves using HDMI™ cable -- up to 50 feet long which is connected from HDMI™ source (DVD player,PS3, set-topbox) to the HDMI™ input jack on the SB-6225. The another HDMI™ cable runs from the SB-6225 output jack to the HDTV display -- up to 50 feet away.